As we get older, heading to the supermarket to do your food shopping can become more challenging, particularly if you have low mobility and difficulty getting there. But there are measures you can take to help alleviate some of the strain and ensure you make the most of your shopping trip. Read on to find out more about these top tips to make your food shop easier and more efficient. Do you often find yourself throwing out unopened goods because they’ve gone off before you’ve had the chance to eat them? Amy from Planning Spree has a tip to ensure that at a glance, you know which foods to prioritise and eat first. Kendal At Home has a small but useful tip when doing your food shop. If you know your supermarket well, when writing your shopping list, organise each item by aisle. Not only will this make your shop quicker and more efficient, but it will also help you keep on track and stop you from being tempted by promotions or impulse buys. If it works out cheaper to buy a family-size portion of food, it’s definitely worth purchasing says Karen from Fuelled By Latte. As well as getting more bang for your buck, it also means you have several meals that are ready to go when you need them, which is great for saving you multiple trips to the shops. If you struggle with mobility, ask a friend or family member to accompany you on your shopping trip, says Jenny from Chilling with Lucas. As well as having someone to do the heavy lifting, it’s a great excuse to have a catch-up. If you get overwhelmed with supermarket crowds, knowing when to hit the shops is key if you prefer browsing in peace and quiet. Generally, you’ll find the quietest periods will be first thing in the morning or later in the day - before and after the work and school rush. If you’re planning to head to the shops over the weekend, it’s recommended that you set off bright and early if you’re hoping to avoid the crowds. Lots of people tend to sleep in on a Saturday or Sunday morning, so you’ll want to take advantage of how quiet the shops will be. With some supermarkets open 24-hours and others closing late at night, if you’re a bit of a night owl, then you might benefit from doing your food shopping later in the evening when others are unwinding at home. If your closest supermarket is quite a distance away, it may be worth looking into local transport services says Money Management International. 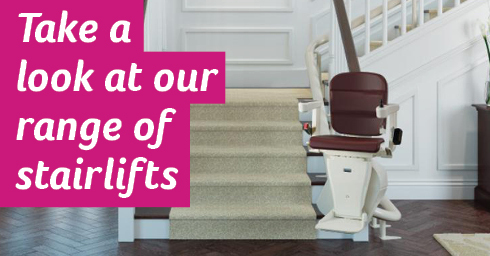 See what shopping and home delivery services are available in your area on the Age UK website. If you still aren’t confident with food shopping, many people have ditched the traditional way of shopping and instead have opted to do their food shop online, particularly if they rely on stairlifts or want to avoid the hustle and bustle altogether. Beaumont Health believes there are many benefits to ordering your food shop online, which includes saving you time and effort wandering the aisles, avoiding unhealthy or expensive impulse buys and allowing you to stay organised with saving previous purchases for next time. If you’re not very computer-savvy, get a friend or family member to help you the first time around. After that, most supermarket websites will remember your favourite items and previous transactions making it easier than ever for you to purchase the same food shop over again. Food shopping in a busy supermarket can feel like a daunting task when you’re older, especially if you have mobility issues, but it doesn’t have to be. The above tips are just some of the ways to make the experience more relaxed and ensure you are more efficient when it comes to your food shop. Looking to whip up some new recipes in the kitchen? Check out our healthy recipe ideas.